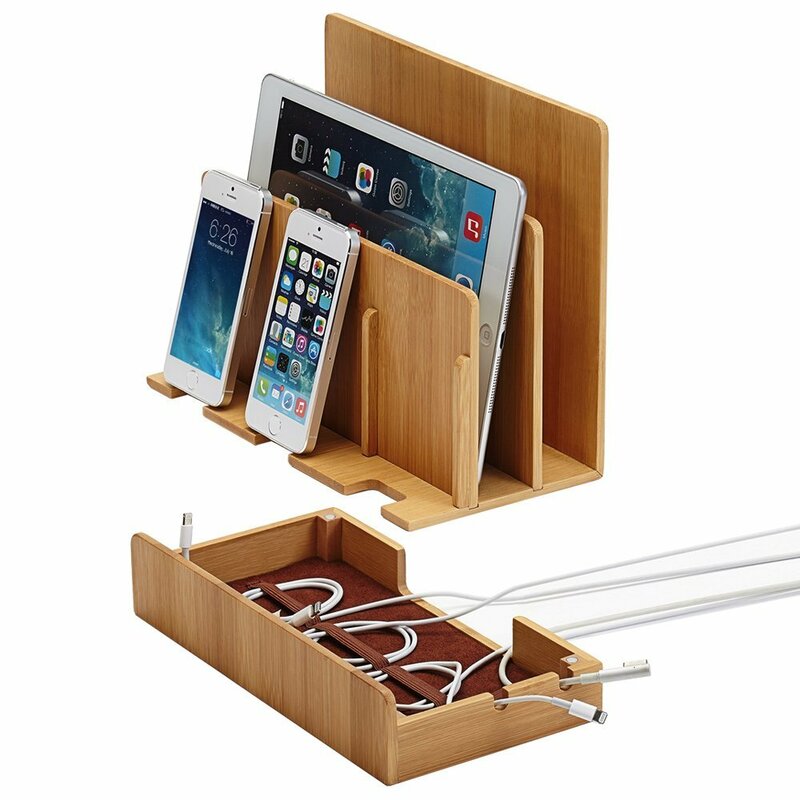 Bamboo Multi Device Charging Station and Cord Organizer for Smartphones, Tablets and Laptops. Universal Compatibility with iPad, iPhone, Samsung, Android and all other devices. At last the charging of our various devices in under control. With two of these little beauties in our home,our cellphones, tablets and laptops are tidily charging with no wires snaking their way across our surfaces. It was becoming a real problem until we discovered these. Now we can find them knowing that when we do, they will be ready for use. 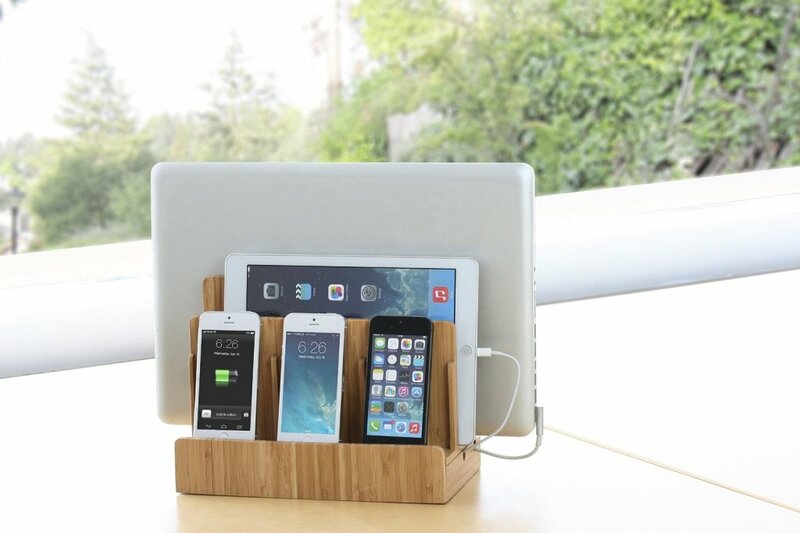 But something that I really appreciate about this charging station is that is made from sustainable bamboo. It’s not often that you can find tech devices that are planet friendly and as bamboo is the quickest-growing plant on the planet,it is infinitely renewable. Bamboo will no doubt be used for many more purposes in the future and I’m watching out for products that aren’t damaging the planet so you can imagine how pleased I was when I discovered this charging station. The item you see here is just perfect. We had wires everywhere before we bought two of these. We had devices scattered all over the house including, crazily, the Kindle charging in one of the kitchen cupboards and an iPhone charging in the bathroom. Now we have one of these charging stations in the lounge on the console table and one on the kitchen counter. Read a further review here.